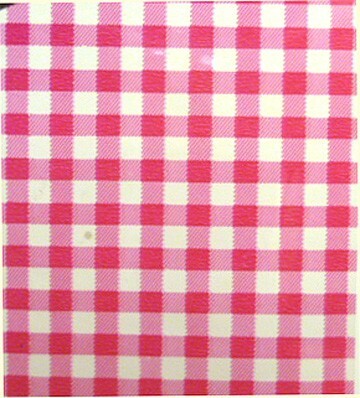 Clear Press Polish PVC .030 Sheets with embedded printed gingham. Ideal for footwear, handbags and accessories. Sheet size- 23.5" x 53.5". Many other designer colors, prints, inserts and special FX in stock with special pricing.